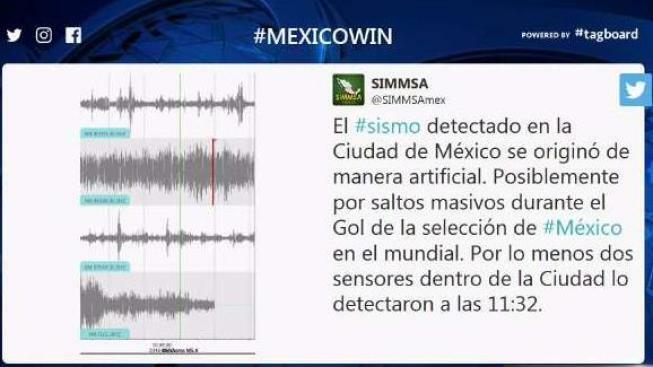 UPDATE: Mexican seismologists have clarified that the shaking was caused by two small earthquakes. But they did notice World Cup-related activity in another way. Read more here. Thousands of exuberant Mexican soccer fans took to the streets Sunday to cheer their national team's long-shot win against Germany in Mexico's first match of the 2018 World Cup soccer tournament.